Episode No. 148 of The Modern Art Notes Podcast spotlights three collection-driven exhibitions that mark the 100th anniversary of the beginning of World War I. The three exhibitions — at the Virginia Museum of Fine Arts, the Toledo Museum of Art and at the Dallas Museum of Art — take strikingly different approaches to showing how the Great War impacted artists. The guests are curators Mitchell Merling, Paula Reich, and Michael Hartman. 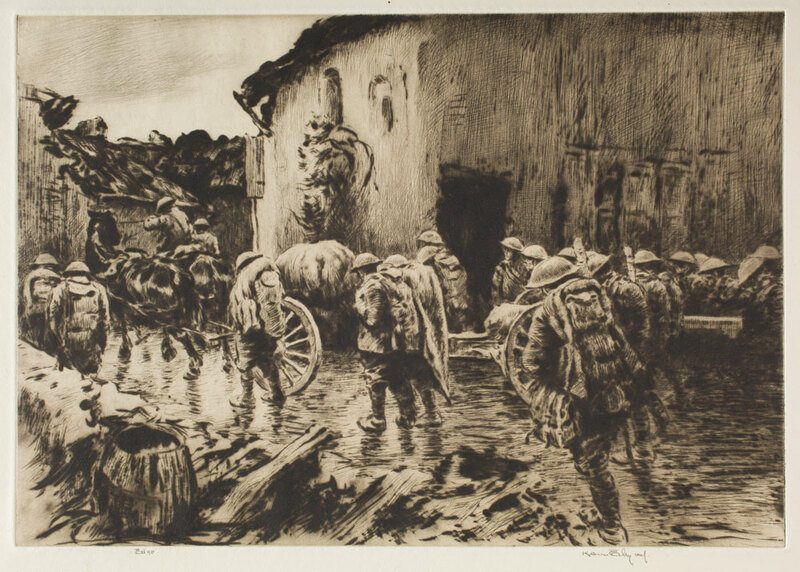 First, VMFA curator Mitchell Merling discusses his exhibition “The Great War: Printmakers of World War I,” which is on view through November 11. While we mostly think of German artists as synthesizing their World War I experiences through print-making, Merling’s show looks instead at how British and American artists portrayed the war through prints. Then the Toledo Museum of Art’s Paula Reich talks about her exhibition “The Great War: Art on the Front Line,” up through October 19. 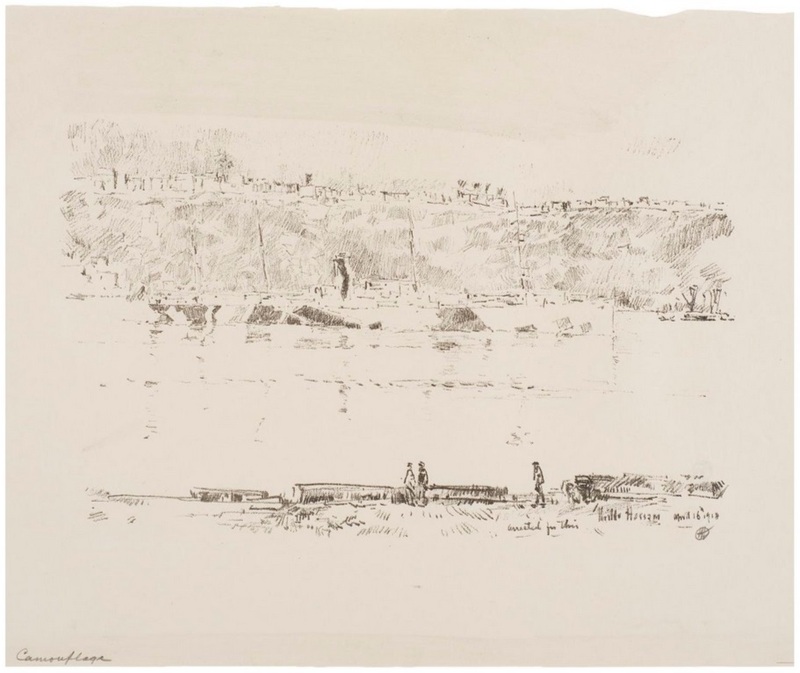 The show features paintings, sculpture and works on paper about the war and the home front. Among the highlights of the exhibition are Max Beckmann’s great 1923 painting The Trapeze, Picasso’s 1918 gouache Person Seated at a Table Plucking a Dead Bird, and Otto Dix’s great 1924 print of shell craters. 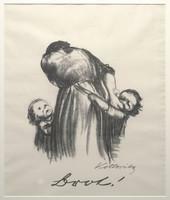 Finally with the Dallas Museum of Art presenting “Kathe Kollwitz: A Social Activist in the Era of World War I,” curator Michael Hartman discusses life on the German home front and includes works by Kollwitz, Ernst Barlach, Max Pechstein and more. Air date: Sept. 4, 2014. Kerr Eby, Dawn, the 75’s Follow Up, 1919. Kerr Eby, Dawn. 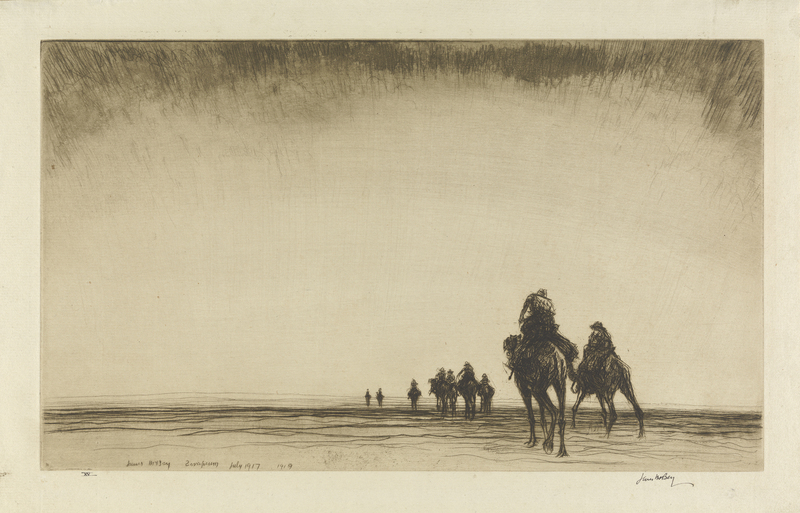 The Camel Patrol Setting Out, 1919. 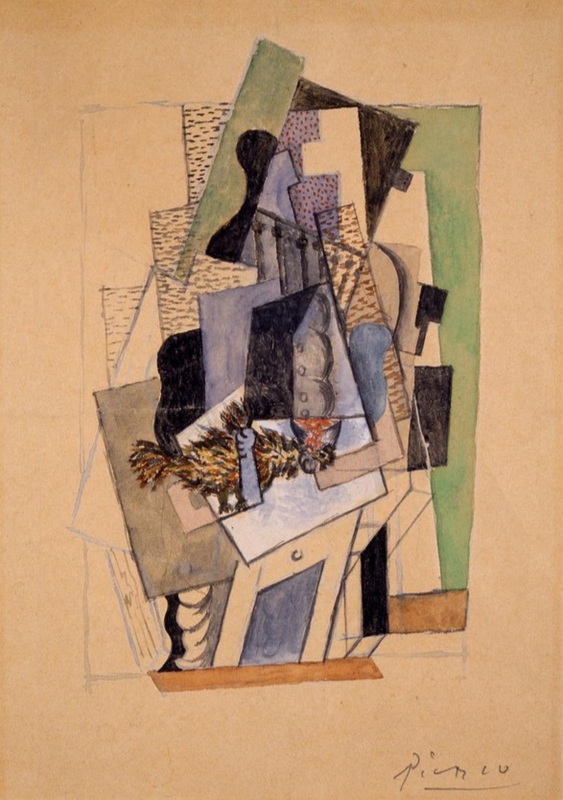 Pablo Picasso, Person Seated at a Table Plucking a Dead Bird, 1918. 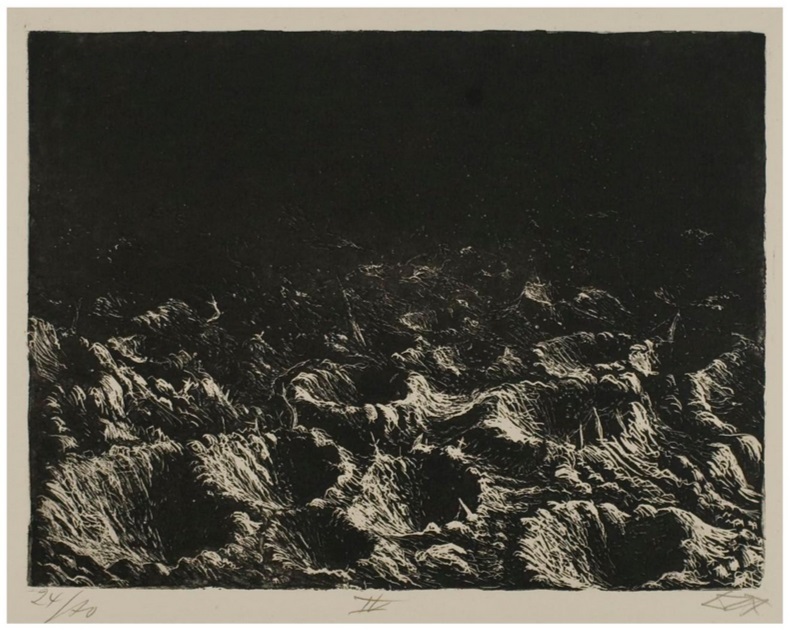 Otto Dix, Shell Craters near Dontrien by the Light of Flares, from “The War,” 1924. 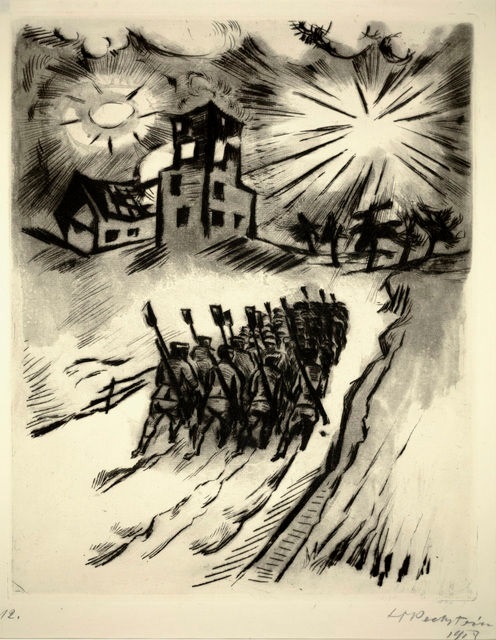 Max Pechstein, Somme VI, 1916.